Labasa market vendors were happy to see Minister for Local Government, Housing, Environment, Infrastruc­ture and Transport Parveen Bala pay a surprise visit and inquire them on certain issues. Uma Wati, 59, of Vunivau, Labasa, told Mr Bala how her family suffered during the re­cent flash flooding in Labasa. “Our entire backyard vegetable garden was damaged and my husband and I strug­gled to gather produce to sell in the mar­ket,” Mrs Wati said. Mr Bala informed them that Farms CARE assistance was available to help them and advised them to make use of it. 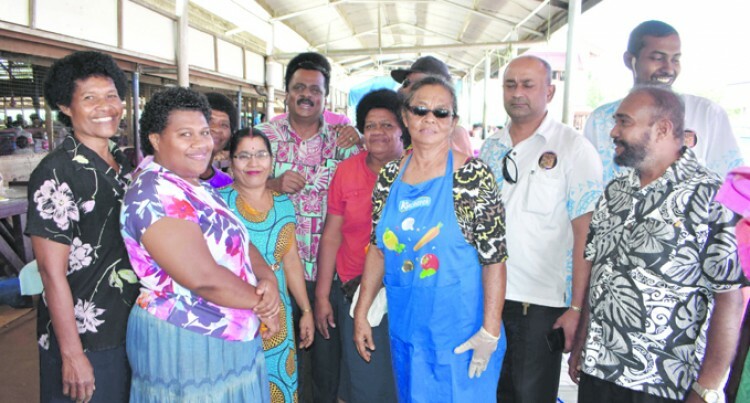 Labasa Market Vendors Association secre­tary Mareta Tagivakatini thanked Mr Bala for visiting them. “The market is clean and what we wanted, the Labasa Town Council had provided as the number of vendors have increased to almost a thousand,” Ms Tagivakatini said. Mr Bala then visited the existing fish mar­ket and asked the vendors why they did not want to shift to the new fish stall construct­ed by the council. Gita Devi said proper access to facilities was not provided. “The existing fish market is conducive be­cause the ice plant is near, the water from the river is just a walking step and can be used to wash their fish instead of using wa­ter from the tap. The boat can easily trans­port fish to vendors and passengers can get off safely,” Ms Devi said. There were other fish vendors who relayed their grievances to Mr Bala who were not happy even after attending consultation with the council. Mr Bala then assured them he would look into it.